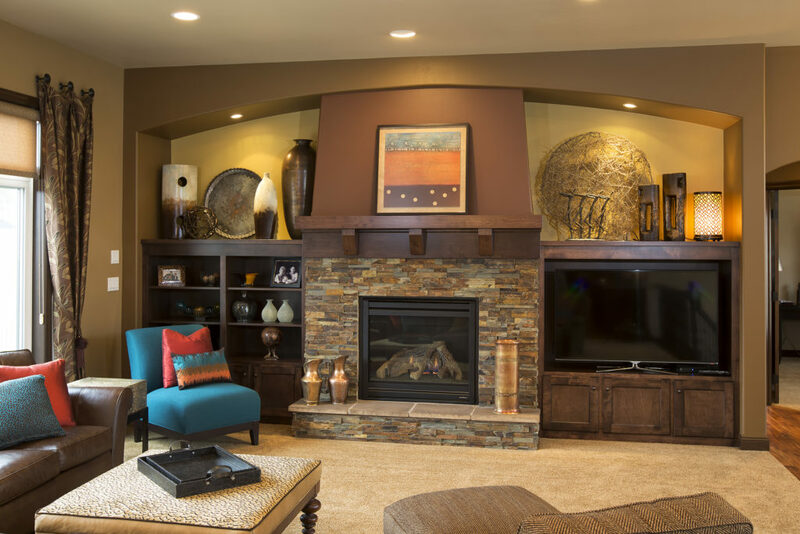 Warmth and comfort are the perfect words to describe this home. Throughout the entire home, warm earth tones have been used from paint colors to accessories. This home provides this busy family with the perfect place to retreat to and entertain in. 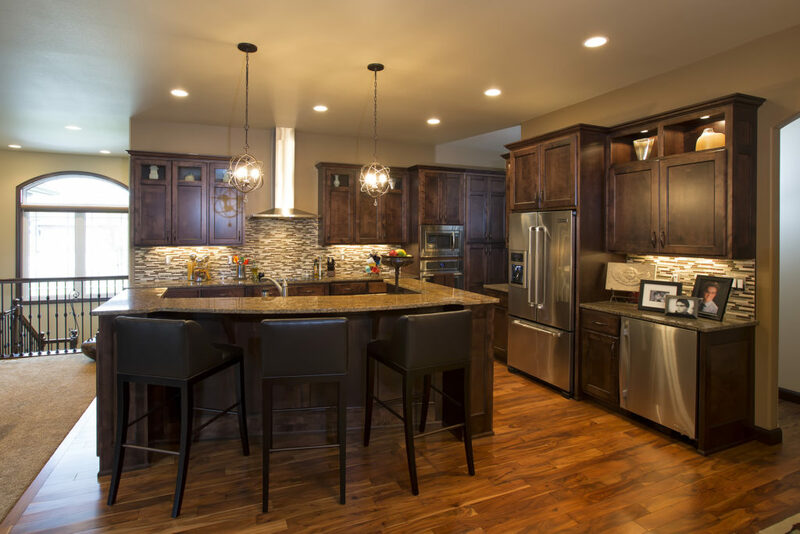 With the kitchen being the heart of the home, it creates the perfect place to gather and entertain. 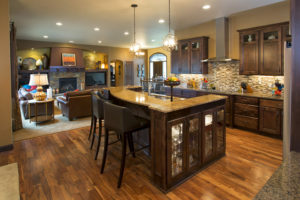 It features beautiful cabinetry atop Asian walnut hardwood flooring. The stainless steel appliances pull out the tile in the backsplash comprised of metal, glass, and stone mosaic tiles. A large island allows for additional seating, houses the sink, and features a lighted display cabinet for glassware and other decorative pieces. Entertaining has never been simpler in this great room space. Custom drapery panels flank both sides of the windows drawing your eye upwards to the unique ceiling detail above the dining table. The focal point of the living area is the gas fireplace surrounded by slate ledgestone that ties the whole room together by incorporating touches of orange, brown, and gray. The custom cabinetry provides the perfect place for this family to display their art pieces while still allowing room for the television without it being the main focus. 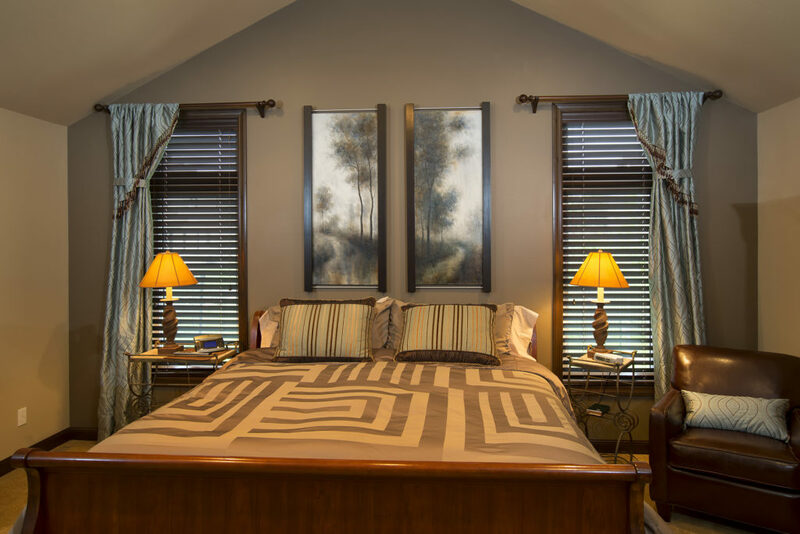 The master bedroom is the perfect place to retreat to when relaxation is needed. 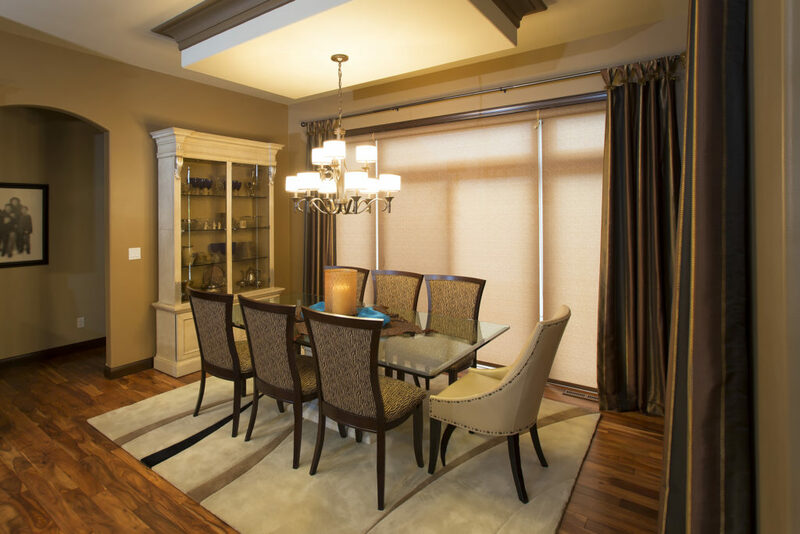 Custom drapery side panels beautifully accent the artwork, furniture, and vaulted ceiling.